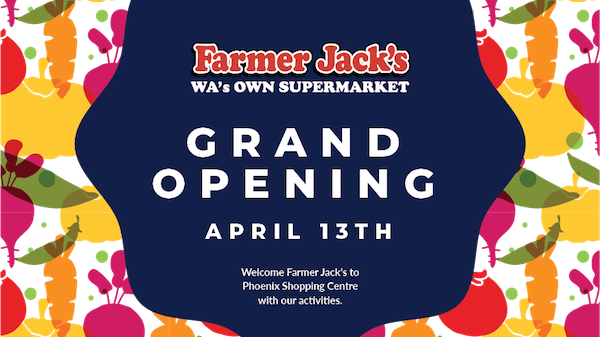 Farmer Jack’s are opening at Phoenix Shopping Centre on the 13th of April. Come welcome them to the centre and join in with our activities to celebrate. All activities are located near our Food Court and have limited numbers, first in best dressed.